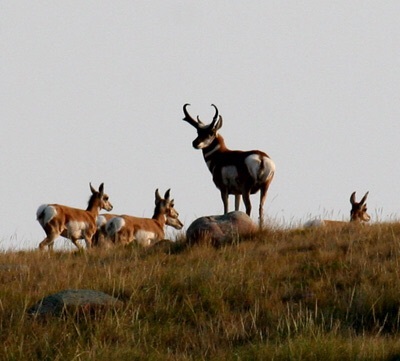 Western Pronghorn “Antelope” hunting- coming soon! My friend and fellow traditionalist Adam Morehouse is no stranger to hunting Montana’s variety of big game. After shooting a recurve for several years, he decided to further challenge himself by picking up a longbow a few years back. He capitalized rather quickly by hunting Montana’s early archery antelope season. The end of a grueling spot and stalk on the Montana plains found Adam’s arrow buried deep in the vitals of a monster 73″ antelope buck! The following month found him tagging out on a nice 145″ 5×5 whitetail with his stick and string in hand. The following season found Adam again tagged out on this nice Antelope buck after a mid-afternoon hunt just ten days into the season! After stating that he was much smaller than last year’s monster goat, I assured him that any antelope taken with any type of bow, let alone a longbow, is a true accomplishment. Many believe the antelope is the hardest North American game animal to stalk and harvest with a bow. Here are a few cool facts about the American Pronghorn, or otherwise known to most as simply an Antelope, even though it’s not really an antelope at all: A mature pronghorn buck will weigh 100 to 120 pounds (with exceptional individuals being a few pounds heavier); their lungs are very large for their size, and their hearts are double the size of that of animals of comparable weight; Their front feet are larger than their rear feet because their front feet hit the ground the hardest while running and support most of their weight (mature bucks front hooves may be about 3″ with the rear hooves being about 2 ½”); a nerveless cartilaginous padding on the bottom of the forefeet cushion the strike of the feet at high speeds (a reason why antelope seldom show lameness or tenderfootedness); they have no dewclaws which may be a hindrance to speed on rough or rocky terrain; the ligaments, tendons, and bones of the lower leg fit together so perfectly that it is nearly impossible for the Pronghorn to suffer leg injuries over broken terrain; a Pronghorn usually runs with its mouth wide open which often fools the observer that it is winded- this is not the case however as it is actually pulling in great drafts of air which its nose cannot accommodate…the windpipe is oversized to easily accommodate such air flow to its large lungs…; which are in fact twice as large as that of several animals of double the weight! Dubbed the “Speed Goat” for good reason, the antelope is the fastest animal in North America. Reaching speeds of 60 miles per hour ranks this nimble and quick, graceful animal only second to the Cheetah in the world. It is believed that one can top 70 mph in short bursts. Groups of Pronghorn Antelope have been clocked traveling together at 50 mph across the plains. Known for their extreme awareness of their surroundings, they are often described as nervous, flighty creatures. Their eyesight is phenomenal, but they are a very curious animal which can lead to the demise of an unsuspecting antelope checking out a white flag placed out by an eager hunter. Although this is a small percentage of the way some Pronghorns are harvested, I do have friends that have tagged several this way and have brought in a few myself using a few feet of Charmin (Ultra I think…). Waterholes are the general favorite when it comes to bowhunting these beautiful Kings of the Plains. A hunter can sit patiently in a dugout, homemade blind, pop-up blind, or other hide-out (stock tanks, windmill enclosures….) within effective bow range of a favorite watering hole hoping for the opportunity at one of the wary buggers. If I was to guess, I would say this is how most antelope are taken by bow. Although, the decoy method during their rutting period around the beginning of September, or any week before and after, seems to have become just as popular. Besides the traditional spot and stalk, decoying a Pronghorn within bow range is one of the most challenging, yet exciting, ways to hunt them. I have missed several trying to maneuver a shot and keep an old-school decoy from tipping over because it won’t stick in the hard rock or dried gumbo of Northeast Montana. And oh yea…the Pronghorn have amazing primal reflexes to a hunters incoming arrow. Modern advances in game animal decoy technology have taken crazy great strides in the last decade or so, creating incredibly lightweight, super realistic, and extremely effective decoys that are much lighter, easier to use, and simple to pack with you during your hunt afoot. The folks at Montana Decoy (www.montanadecoy.com) can set you up with decoy that is sure to bring in a speed goat and get you that heart pumping adrenaline rush that comes standard with that experience. I’ll keep you updated on this season’s quest to bow-harvest an American Pronghorn Antelope, one of our continents most unique game animals. 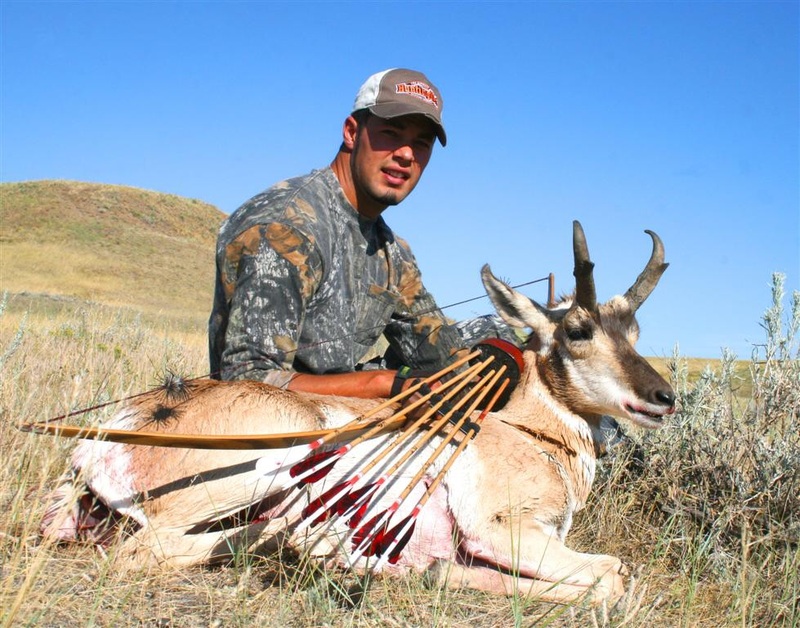 This entry was posted in antelope, Arrows, decoy, decoy hunting, Luke Strommen, Pronghorn, Traditional Archery, Traditional Archery Hunting, Traditional Bow Hunting on August 1, 2015 by rosecityarchery.